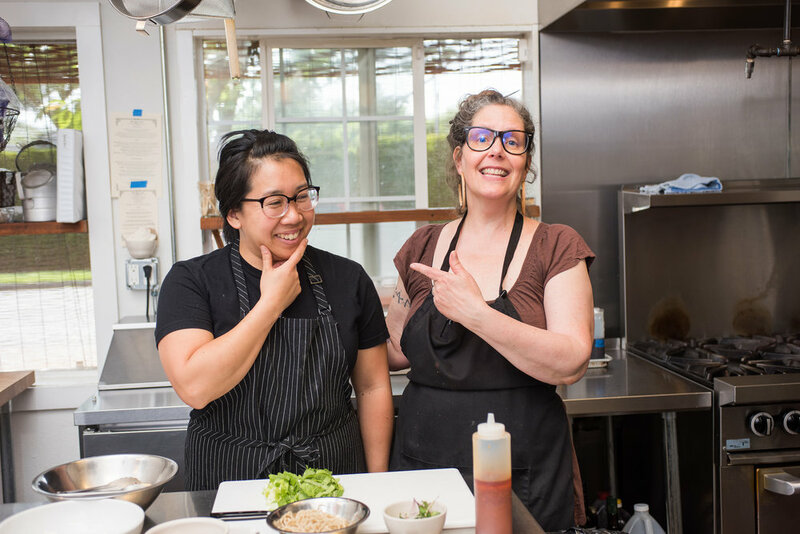 Back when this noodle biz was in its infancy, we had the great fortune of meeting Nancye Bensen, owner and chef of Milk Glass Mrkt, where our friend Jane Hashimawari works. 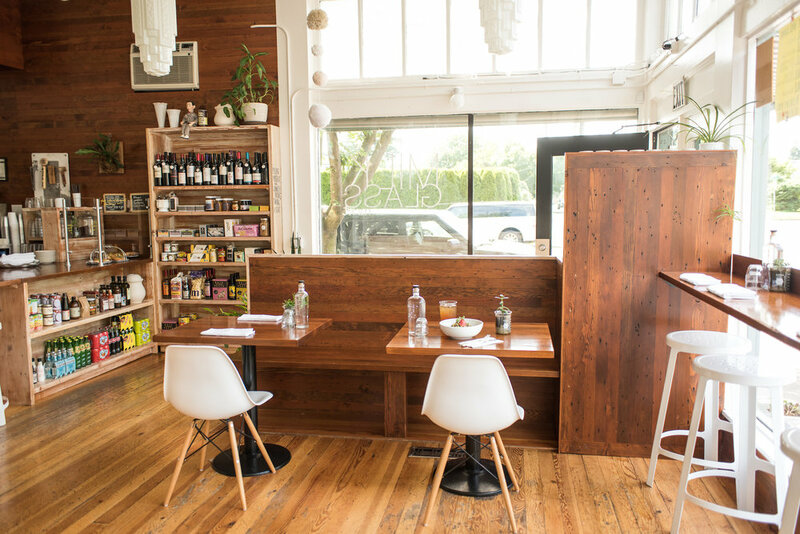 (Jane also runs the amazing pop-up Ippai PDX.) Nancye welcomed us, as she does, with incredible warmth. 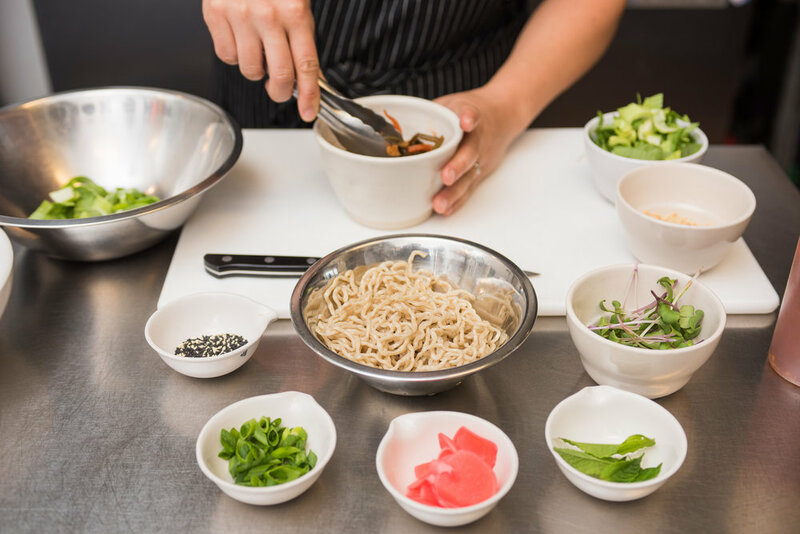 Since that fateful spring day in 2016, Milk Glass has been serving our noodles on their menu in a bowl that changes with the season but never, ever fails to delight! Amanda and I love stopping by to drop off noodles and pick up a great lunch or tasty drink. Milk Glass is primarily a breakfast and lunch spot, with a market surrounding the counter where you can get the kind of specialty products not available anywhere else: Jane's homemade Japanese furikake mixes, housemade savory granola, an amazing Piri-Piri sauce from Mazi, a super artisan maker out of New Jersey, ever-changing wines. Whatever they have, I always want it. Nancye, Jane, and Milk Glass have been committed, caring partners from the beginning. We love the vibe of the all-lady kitchen, and their food relays their honest, good spirit: It's stunning, delicious, satisfying, and memorable. Her Shop: Milk Glass Mrkt, 2150 N Killingsworth, Portland, OR 97217. Open Tuesday thru Sunday, 9 am to 3 pm. Childhood cuisine: Very sophisticated. My grandmother was a serious cook, and her father was a butcher. I grew up outside of DC in Virginia. Current favorite sweet: The Kouign Amman. It's yeasted puff pastry, like a croissant, but we make it by hand and put sugar in between each layer, so I like to describe it as a croissant + cannelle on the inside with caramelization on the outside. Current favorite savory: Farro bowl with Empire apples from Viridian Farms, farm celery, crispy proscuitto, which we grind and make like bacon bits, a six-minute egg, smoky hard cheese, Italian parsley. I like the contrast of sweet and savory, hot and cold. Current version of the Umi noodle bowl: Umi noodles with roasted Kabocha squash, pickled mushrooms, carrot-burdock salad tossed in fermented chili dressing and topped with pickled watermelon radish. It's so good. Tell me about the all-women team: It wasn't planned. We've had male employees and loved them, but we've just organically attracted women. In the restaurant business, you might have an idea, a perception of what something will be like, but some things just unfold organically. Who are your clientele? Who are your staff? We work well together. We work hard, but we keep it light. No yelling; no one is going to throw something you made and watch it slide down the wall. We try hard to communicate, even when it's hard for us to do it. Next event: Holiday Wine Club: Thursday, November 16 at 6 pm! We'll do a tasting of three wines with snacks made in house, and sell wines for the holidays at 10% discount. $25. That dough fermenting on the counter: Our house made foccacia. It's a three-day process!